When Prime Minister Narendra Modi reshuffles his Council of Ministers on Sunday morning, Prakash Javadekar could turn to be the biggest newsmaker of the day. The buzz in the power corridors in the National Capital suggests that he could well be the new defence minister of the country. If the prime minister indeed springs that surprise then it would be a huge elevation for Javadekar. As defence minister, he would not only be the custodian of the external security of the country but also part of the so-called big four ministers -- the ministers who occupy four most critical ministry as per the pecking order in the government located on North Block and South Block on the Raisina Hills. 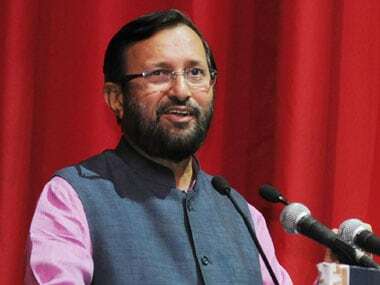 Javadekar had begun in the Narendra Modi government as Minister of State (Independent Charge) of Information and Broadcasting, then to the Ministry of Forest and Environment in July 2016 and elevated to the Cabinet rank with the Human Resource and Development portfolio. If Javadekar is shifted to defence then the country will see the third HRD minister in three years time. The HRD is considered to be a heavyweight ministry. The other big newsmaker could be Nitin Gadkari. Sources told Firstpost that it is certain that Suresh Prabhu would be exited from railway ministry. Given Gadkari’s performance in the highways and shipping ministry he can be trusted by the prime minister to change the face of Indian Railways. If that happens, he can be the first minister since Independence to command all three modes of surface transport -- highways, shipping and railways. In terms of the size of his ministerial work, he could perhaps be the most important minister in the Modi government. Now that current skill development minister Rajeev Pratap Rudy is gone it would be important to see who gets in there. The same could be the situation with the water resources and Ganga rejuvenation ministry. 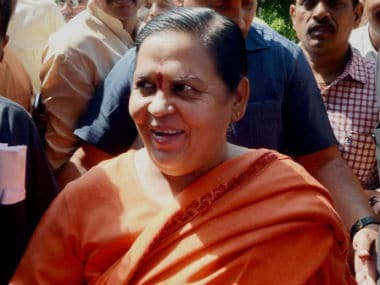 Uma Bharti too appears to be on her way out. Skill development and Ganga rejuvenation or Namami Gange are the two flagship projects which are close to Modi’s heart. Prabhu can fill in the gaps either in the forest and environment ministry or in the water resources ministry. The urban development ministry is another important ministry, which has to come up with popular expectations and Modi’s promises – smart cities, metro rail projects and housing for all. While there are vacancies in key ministries, the question of lack of strong talent pool has come back to haunt the Modi government. Three years ago in November 2014 in the first Cabinet reshuffle, Modi had brought Manohar Parrikar from Goa and Prabhu from outside BJP’s bench strength. This time around Modi and Amit Shah would be scouting for talent within the BJP. 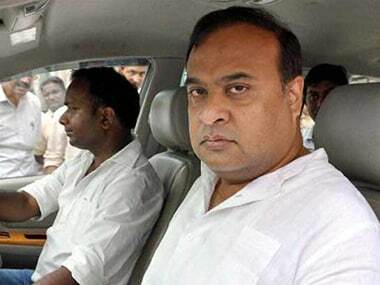 Party leader from Assam, Himanta Biswa Sarma, former Karnataka BJP chief Prahlad Joshi, Madhya Pradesh leader Prahlad Patel, Rajya Sabha MP and a close confidante of Modi and Shah, OP Mathur, former Mumbai Police Commissioner and Baghpat MP Satyapal Singh are some of the names which are expected to be in for swearing in. 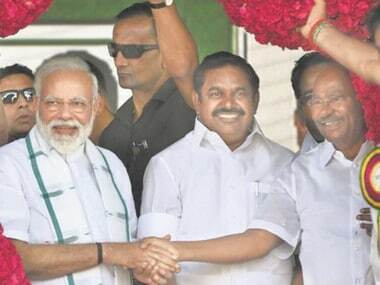 JD(U) and AIADMK will be making entry as part of the Modi government. 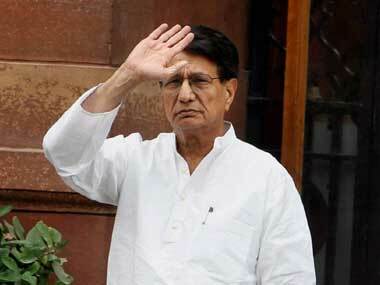 From JD(U) side RCP Singh is sure to be inducted into the Cabinet. From AIADMK two of its leaders — M Thambidurai and V Maitreyan — could be made ministers. Both of them have met Shah.